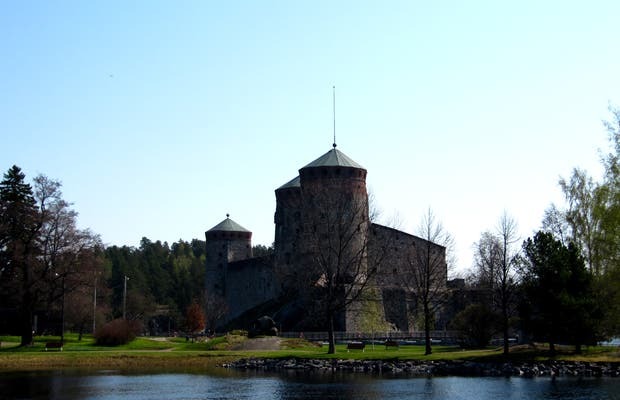 This castle was built in the 15th century by Erik Axelsson Tott in the small town of Savonlinna in the South Savo region of Finland. It stands next to Lake Saimaa, the largest in Finland. The castle attracts tourists all year, especially during the last three weeks of July during which a world-famous opera festival is held which attracts tens of thousands of visitors. There are also many visitors during the winter as it is also beautiful when covered with snow.